Square Enix® and Milestone S.r.l., the world’s leading motorcycle videogame developer, announced RIDE 2. The next chapter in motorcycle racing simulation will roll out to retail and digital stores in fall 2016, for PlayStation®4, Xbox One®, the all-in-one games and entertainment system, Windows PC and Steam®. The second edition of Milestone’s innovative racing game is focused on the relationship between the rider and motorcycle, bringing the connection between man and machine even closer with career mode and other new features. Players can race the motorcycle of their dreams, thanks to unprecedented customization options for both rider and bike – and create the ultimate ride down to the finest detail. RIDE 2 offers more than 220 motorcycles from the most respected manufacturers, and new bike categories with the introduction of the Two Strokes, Supermotards and Café Racers added on top of the current list of bike types available, including the Nakeds, Supersports and many more. Tracks are just as integral to the experience of RIDE 2, now including legendary Road Racing tracks such as Nürburgring Nordschleife, Northwest 200 and other circuits to further push the boundaries of competition. 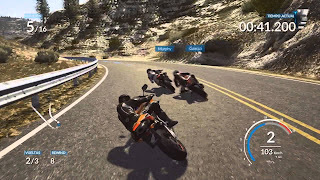 RIDE 2 also adds new game modes and innovative features that will accompany players on the road of the true motorcyclist. Social interaction with friends, a competitive AI always up to the challenge for even the most hard-core players and many enhancements to the graphic and physical models, which will be announced over the course of the next few months. For now, fans can only sit back on their virtual bike and imagine the new and endless possibilities thatRIDE 2 will bring to all players around the world.